SUPREME HEADBAND New Era 2014 RED & BLACK BLUE All Colors NWT FAST SHIPPING! SUPREME New Era REFLECTIVE 3M Logo HEADBAND 2 Colors U Choose W/ TAG Brand NEW! Don't Blow It. 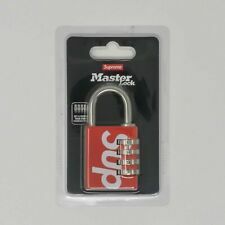 · DON”T OPEN A CASE WHEN YOU HAVE PROBLEM WITH THE ITEM. Don't Just Add These To Your Watch List, Buy It NOW. It Is The Lowest Price To Oversea. I Can’t Do Anything Lower. You Know You Always Forget. 100 Percent Authentic or Double your Money Back. Color: White. Supreme Neoprene Face Mask Red Black bathing ape bape ayo & teo mask FAST SHIP! It should be a smooth surface. Make sure to not leave any bubbles. White Sticker Decal Vinyl. Decal is 2.5" x 9". Material = Outdoor Indoor Vinyl. WHEN YOU PAID FOR ONE STICKER, YOU ARE GETTING ONE STICKER. ONE STICKER PER TRANSCATION. DO NOT OPEN AN ITEM NOT RECEIVE CASE. · DON”T OPEN A CASE WHEN YOU HAVE PROBLEM WITH THE ITEM. Don't Blow It. I will make sure to carefully bubble wrap each individual Book End. duringthe FW17 Season. Lot includes. Neoprene Face Mask Cotton Good for Skiing Outdoors Dust Protection Great for Gifts! 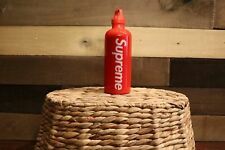 Supreme Handwarmer Red. Brand new. Supreme shopping bag included. Supreme sticker pack included. Ships next day with USPS Priority Mail. 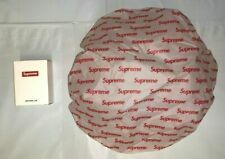 SUPREME New Era REFLECTIVE 3M Logo HEADBAND BLACK or RED with TAG Brand NEW! WHEN YOU PAID FOR ONE STICKER, YOU ARE GETTING ONE STICKER. ONE STICKER PER TRANSCATION. Don't Blow It. It Is The Lowest Price To Oversea. I Can’t Do Anything Lower. DO NOT OPEN AN ITEM NOT RECEIVE CASE. SUPREME HEADBAND Era 2014 RED . Condition is Pre-owned. Shipped with USPS First Class Package. 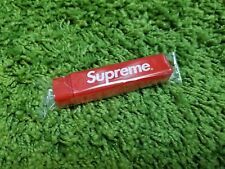 SUPREME PEN BIC SUPER RARE SOLD OUT 100% AUTHENTIC BUY BEFORE ALL GONE! HARD TO FIND & VERY RARE! YOU CAN NOT FIND THESE PENS ANYWHERE. Simple LAWS here Year of production : SS18. Color: Clear. Style Code:N/A. 100 Percent Authentic or Double your Money Back. Brand new. 20 adhesive bandaids come in one box. I have 3 boxes for sale but the price on the listing is the price for one. Will come with supreme bag upon request. Year of production : FW18. Color : White. Simple LAWS here. (Usa Only :). oollaalaa what a deal! 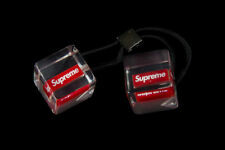 Supreme BAND-AID + *1 Single Band-Aid* - SS19 - Free Shipping! One singleband aid. One random size Band-Aid will be chosen and sent. Supreme Arm Sleeve Red. Condition is Pre-owned but in very good condition. Message me for any questions or negotiations.